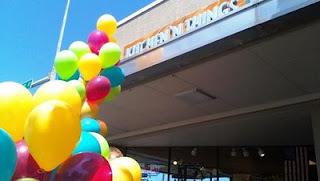 The first big Tuesday in Ballard is in full swing as bright green, blue, yellow, and pink balloons flood the streets. Tonight will feature many live performances at local night spots and even a DJ at Bergen Place Park. Should be fun. The Design Hovie Studios designers will be out in full force taking photos for inballard.com so say hi if you see us.